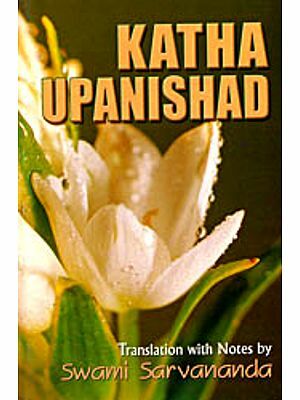 The Katha Upanisad is the penultimate to be published in the present series, each Upanisad being taken out in its entirety from the author’s well-known Eight Upanisads in two volumes published by us. 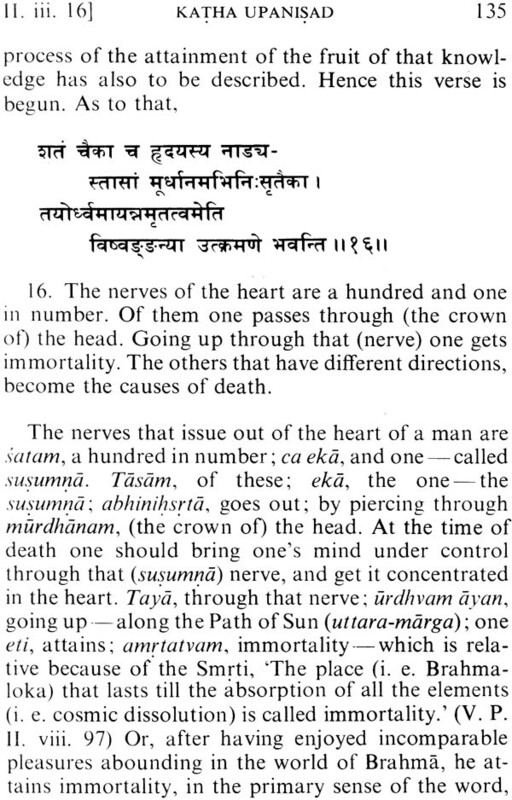 The remaining one is the Taittiriya. 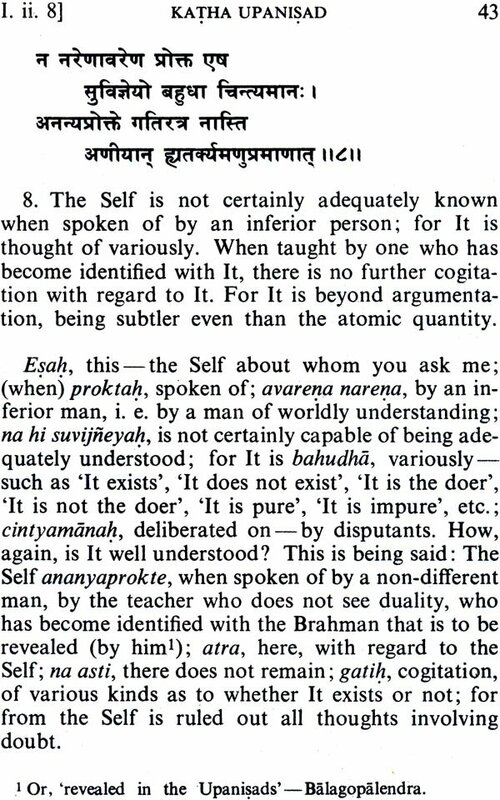 In the translation of the commentary, the words quoted from the text by Sankaracarya, are given in italics. These are followed by commas and the English equivalents informative explanatory footnotes have been added wherever necessary. 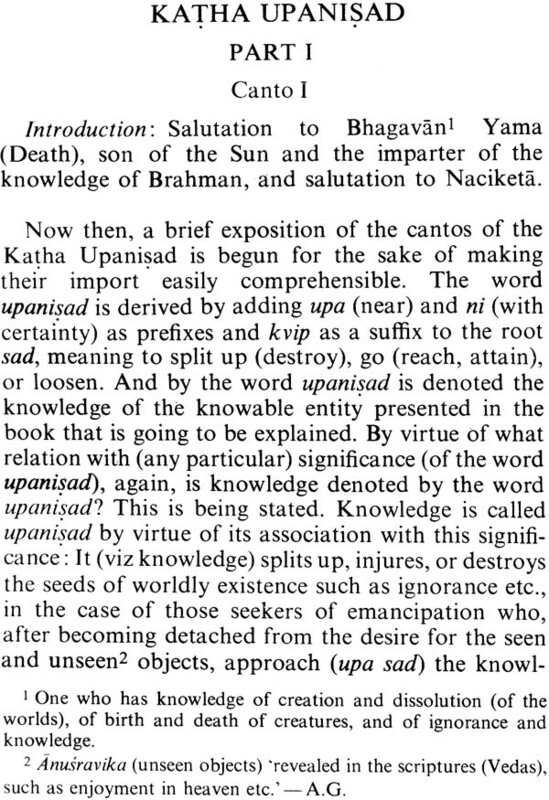 This Upanisad forms a part of the Brahmana belonging to the Katha Sakha of the Krsna YajurVeda. 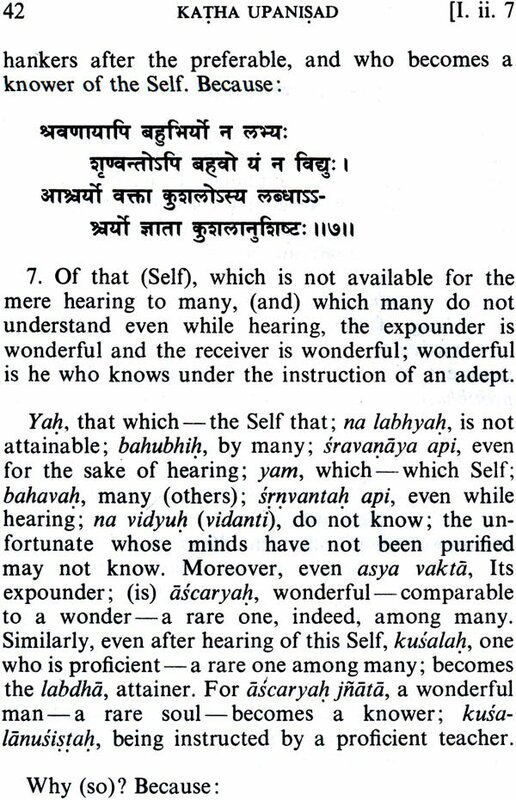 The Katha Upanisad stands in a class by itself. It combines charming poetry, elevating mysticism, and profound philosophy. 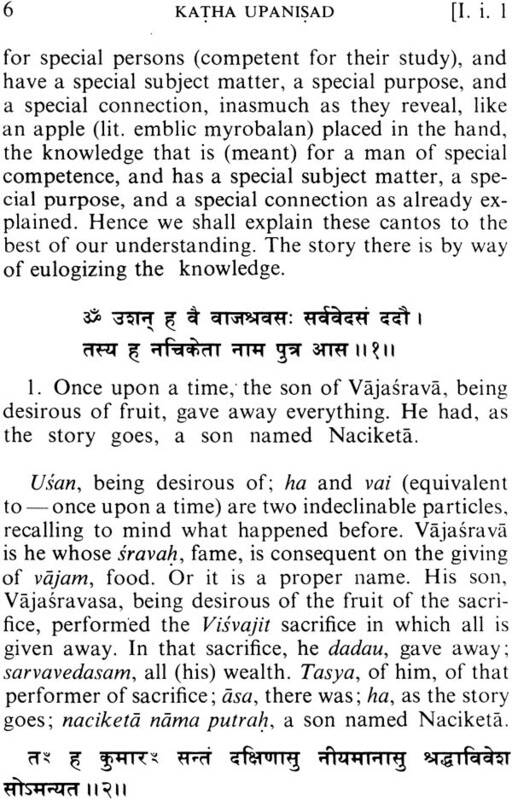 The subject of the mystery of death is introduced through the medium of an interesting anecdote; and the teaching of the Upanisad is presented in the form of a dialogue between young Naciketã, a mere boy, who had gone to the abode of Yama, the King of Death, in search of the mystery underlying the life and death of mortals. 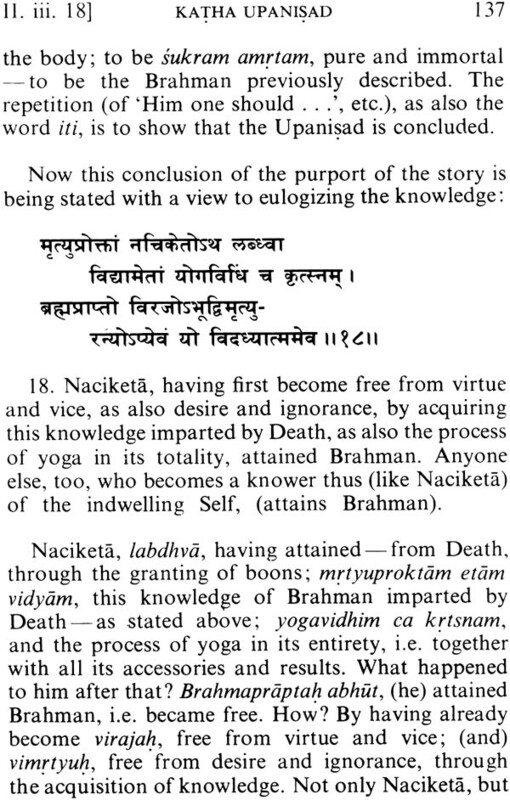 Naciketä is the student, the seeker, and Yama, the teacher, than whom there could be none better to impart the knowledge sought by the young student. in the course of the dialogue between them, there issues forth from the lips of Yama the wisdom that lies beyond life and death: an exposition of the nature of the Self, the intimate spiritual essence of our being as well as the ultimate Reality of all existence in an unambiguous language. It also points to the limitations of logical reason and the inadequacy of mere scriptural scholarship in realizing this deepest core of the reality imbedded in the heart of every being. 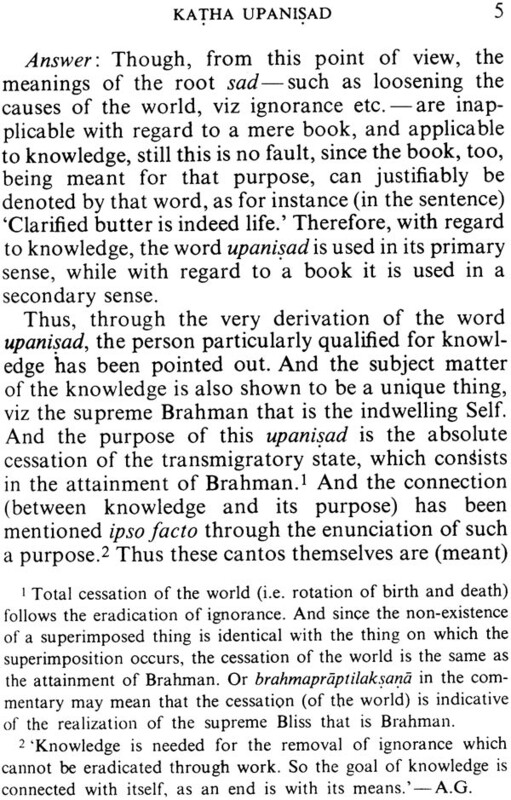 Swami Vivekananda that paramount protagonist of the Upanisads in recent times was greatly fascinated by this Upanisad. 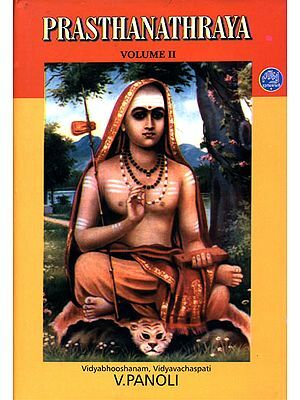 He goes into ecstasy when ever he refers to the sraddha of Naciketa and of his sterling character. 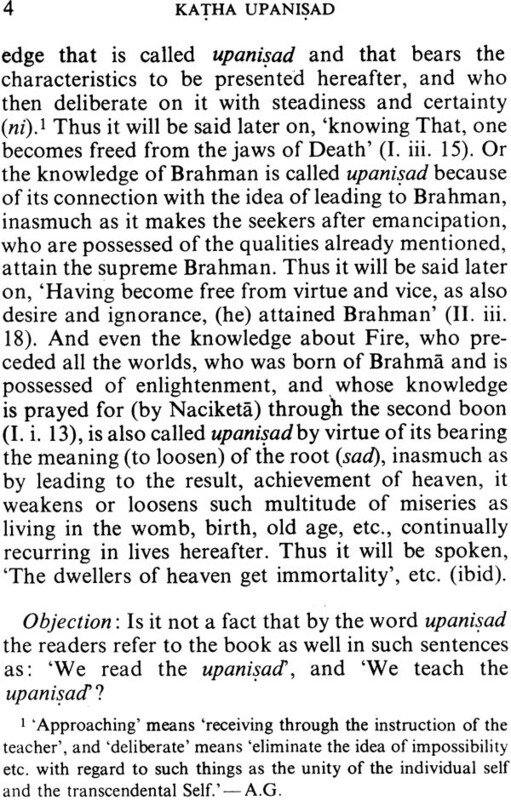 The swami devotes two entire lectures in his Jnana-yoga to an exposition of this Upanisad. His repeated and most popular exhortation, Arise! Awake! And stop not till the goal is reached is based on one of the warns the seeker to be wary on his path compared to the sharp edge of a razor which is difficult to cross and hard to tread. 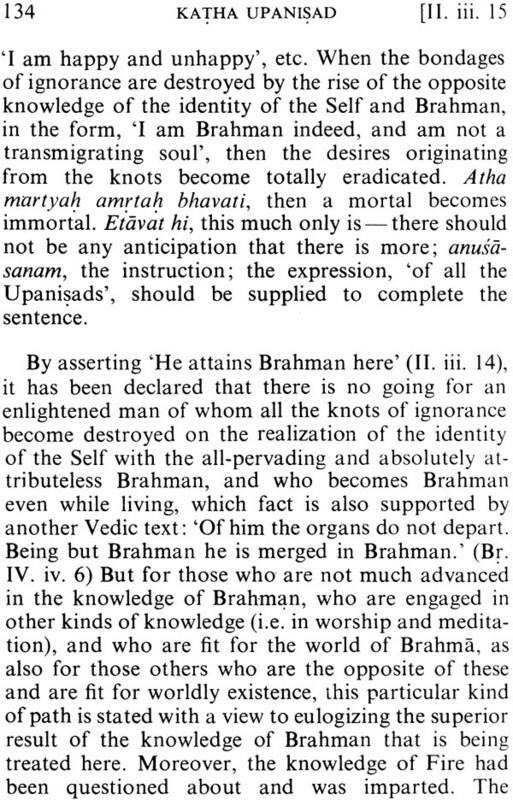 The Upanisad proclaims of the Atman cannot be had by the unrestrained un-meditative and unpacified mind. Here occurs that very instructive imagery of the human body compared to a chariot with its full complements of the master of the chariot the charioteer the rein the horses, and their roads. 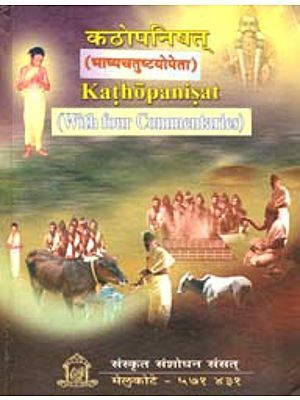 It is with great pleasure that we place this edition of the Katha upanisad in the hands of the earnest seekers after truth and lovers of spiritual knowledge.